Online streaming video of a live 3 day review with 90 days of unlimited access. Comprehensive study of nursing content as it relates to the 2014 NCLEX® test plan and test taking strategies. “Nursing Made Insanely Easy” from ICAN publishing which includes study tips, pictures and mnemonics used in the review. 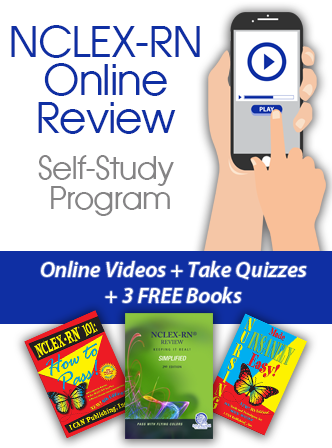 Access to online NCLEX® type exams and quizzes (questions with rationales) to help prepare in self-study. This Digital Interactive Review Book is divided into eleven chapters organized around body systems with each chapter including adult and children's health issues. Each chapter includes high-difficulty level questions, developed with the same percentages as found on the current NCLEX exam at the end of both the adult and pediatric sections. The entire book is 496 pages and includes a professionally prepared index. Online streaming video of a live NCLEX-RN review course with 90 days of unlimited access. Comprehensive study of nursing content as it relates to the most current NCLEX® test plan and test taking strategies. 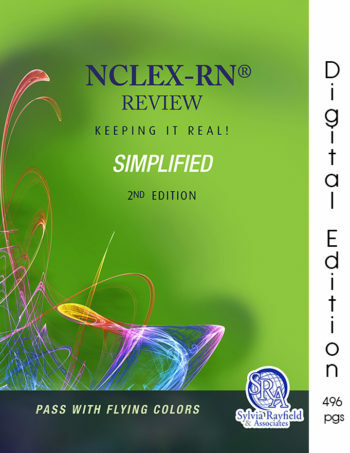 “NCLEX-RN Review Keeping It Real! 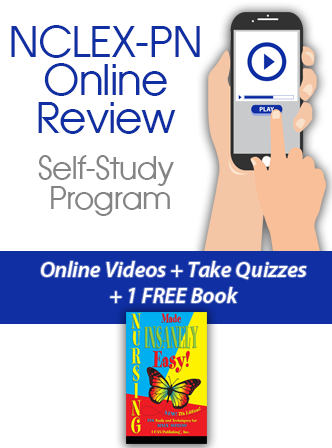 Simplified” digital interactive review book from Sylvia Rayfield & Associates which includes a directory of useful videos. “NCLEX-RN 101: How to Pass” from ICAN publishing which includes strategies for success & review of alternative format questions. This book is the 4th edition and is an 87 page paperback book. Nursing Education is an ever-changing science. Sometimes, not as quickly changing as may be needed. 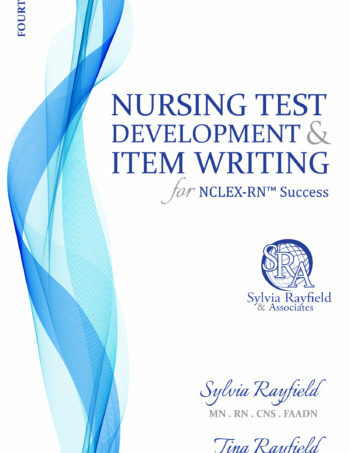 “NURSING TEST DEVELOPMENT AND ITEM WRITING: FOR NCLEX® SUCCESS – 4th EDITION” has been written to assist nursing faculty with an innovative way to evaluate their students through testing. This colorful, creatively designed book is a short evidence-based narrative that comes from research, data-gathering, experience, and a deep understanding of nursing concepts and the nursing licensure examination. It communicates clearly so that critical decisions can be made regarding test development and item writing and the future of this complicated-made-simple process. For shipping cost of more than 2 books please call 1-800-234-0575.